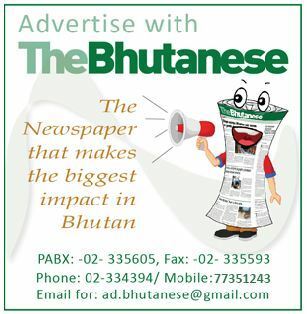 As any Bhutanese will be acutely aware, Bhutan is broadly defined in two ways. One, is that of a small but strategically important country lodged in between two giants along with its various implications and complications. The other definition of Bhutan can be seen in travel articles and magazines of being a ‘Shangri-La’ or romanticized Kingdom in the clouds. As a result, there is limited international understanding of the real Bhutan and its people, given the two dominant narratives above. Even in the world of international academics, Bhutan, so far, has been studied only as one of the subsets or countries of the ‘Tibetan and Himalayan studies’ group that also includes India, China, Nepal, Bhutan and Pakistan. 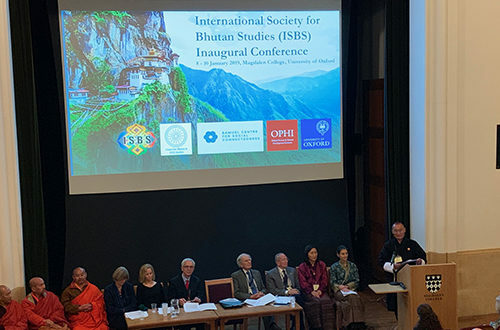 The International Society for Bhutan Studies (ISBS) inaugural conference in Magdalen College, Oxford University made the important first step of discussing and studying the diverse and less discussed aspects of Bhutan in a large international academic setting. 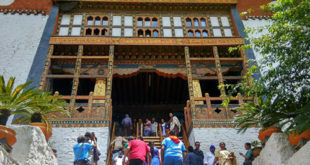 More importantly, it set up and gave shape to an independent international ‘Bhutan studies’ group in its own right. Some speakers highlighted the point that Bhutan deserves its own study group given the fact that it is the only and last independent Vajrayana Buddhist Kingdom. In that sense, the ISBS is not just another academic conference, but holds special significance for Bhutan, with the potential to be both a valuable resource group and one that helps strengthen Bhutanese identity and understanding in the international forum. The conference from 8-10 January, 2019 saw a large number of Bhutan experts in various fields gathering from over 80 countries taking part in 12 sessions in various diverse fields, three plenary sessions and two key note addresses. Each session in turn had an average of three speakers with a time of around one hour and 30 minutes. 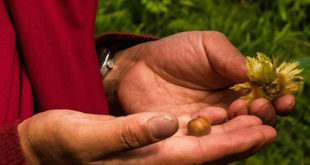 The sessions were about cutting edge research into linguistics, ecology, anthropology, law and international relations, GNH, development, food, education, history, Buddhism and governance in Bhutan. The speakers and scholars presented their in-depth papers followed by usually spirited and in depth questions and comments that made it both an academic exercise and also a collaborative event with the audience. The quality of the conference and papers presented in the sessions was apparent from that fact that many Bhutanese participants got additional and even new insight into their own country. There were many international scholars who had dedicated years and some even decades in studying the various lesser known aspects of Bhutan. The conference also saw good Bhutanese participation and high quality of presentations from Bhutan. One well researched field was the two linguistic sessions where Gwendolyn Hyslop expounded on the history and development of East Bodish Languages like Bumthap, Kurtop, Dzala, Upper Mangdep, Khengkha, Chali and Dakpa and how studying them helped in learning about Bhutan’s ancient history. She said that there are around 19 languages in Bhutan. Fuminobu Nishida went in-depth into Mangdebikha language but also gave a broader exposition of the various language groups in Bhutan. Selin Grollmann showed how Tshangla is not just one uninform language but has an incredible array of diversity through various dialects including the little known Bjokapakha, which she argued is so different from the popularly spoken Tshangla that it can even qualify as a separate language. An interesting observation was on how the Bjopakha speakers passed themselves as Khengpas or Khengpa speakers in front of others to assimilate better with their Khengpa neighbors, but spoke Bjopakha amongst themselves. Pascal Gerber talked about the Gongduk language of 1,000 to 2,000 speakers which had been discovered by Professor George Van Driem in the 90’s, who did a lot of pioneering work in linguistics in Bhutan. Both Selin and Pascal are lecturers but also students of Van Driem. They called for the need to preserve these mostly endangered languages quoting Van Driem who said that losing a language is equivalent to losing a conceptual universe. The linguistic field is the internationally most well researched and documented field, making it a rich repository of Bhutanese knowledge and culture. Fergus Lyon and Kuenga Wangmo presented their study on the case of building earthquake resilience in Bhutan which saw several questions and comments from the audience. Francoise Pommaret presented her paper on the various seasonal traditional migrations within Bhutan including the lesser known ones and highlighted the case that Bhutanese valleys were not as isolated from each other as it is made out to be. Nitasha Kaul in her paper ‘Where is Bhutan? The historical production of an ‘in-between’ Bhutan,’ said that Bhutan cannot be seen just from the lens of being a small country caught in-between two giant countries. She pointed out that Bhutan is so much more and deserves to be recognized on its own rather than in mere co-relation to its neighbors. She went into the historical roots of how and why Bhutan got defined with an ‘in-between’ entity and she argued that this is neither correct nor fair. A plenary session on Buddhism saw Lopen Gembo Dorji talk of the significance of the masked dances of Bhutan. Lam Lotay Singay gave an exposition on the the religious music and chants from Bhutan and their significance while Draplop Rinpoche Sangay Dorji went deep into the mandala and arts of Bhutan. In the evening of the first day the ISBS guests experienced the famous Magdalen College Choir which is its signature cultural tradition. The Chaplain during the event also led prayers for Bhutan and His Majesty The King. On day two, on a session on GNH and Development, Matthew Schuelka talked about the constraints of the education sector in Bhutan. He called for the Bhutanization of education given the various flaws in the current system of schooling giving case examples of how countries across the world have given themselves their own education systems, suited to their conditions and development. In a fascinating presentation called ‘Ideal Happiness,’ Yoshiaki Takashi addressed the issue of why Bhutan scores in the 90’s in the annual World Happiness Report, which is an outcome of the happiness resolution moved by Bhutan in the UN General Assembly. Looking at the methodology he suggested a cultural factor at play as most Bhutanese have a very balanced idea of happiness and know that 100 percent happiness is not realistic. Taking the cultural factor into play he presented a modified version of the methodology to calculate happiness called ‘Happiness Adjusted’ which saw Bhutan’s happiness ranking going much higher and closer to the results in Netherlands. Dorrine Eva van Norren gave an eye opening comparison of the Sustainable Development Goals with that of GNH and other philosophies of Ubuntu in Africa and Buen Vivir in Ecuador. She showed how Ubuntu in Africa is a collectivist worldview where the interdependence of the community and group is given precedence over individuals and Buen Vivir or good living is bio centric and gives equal rights to all living beings where there is harmony with nature and a balance between spiritual and material wealth. A session that saw a packed room and a lot of buzz was on ‘Politics and Elections in Bhutan: The Role of the Social Media,’ by Romolo Gandolfo who has done in-depth research on the field. The room was visibly surprised to see the deep level of penetration of the social media in Bhutan. Romolo, while presenting the positive aspect of social media in Bhutan, also delved into its darker side. 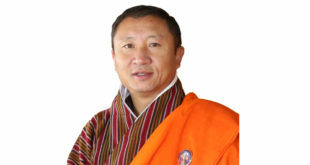 He said that the former Bhutanese Prime Minister Dasho Tshering Tobgay had the highest percentage of the electorate following him on facebook, more than any other world leaders. An important observation of Romolo was that the electoral system of Bhutan, where only two parties make it to the final round, made it a much more intensive affair and this was also partly reflected in the social media culture. The after noon session saw two interesting papers from Dorji Penjore and Kuenga Wangmo. Dorji Penjore in his presentation ‘Chukor: Water sharing institution for sharecropping and subsistence in Samcholing, Bhutan’ brought forward the central idea with anecdotal evidence that it is far more effective to invest in small community irrigation projects than go for mega and expensive projects which are difficult to maintain and sustain. Kuenga Wangmo’s presentation ‘Archaeology in Bhutan: Understanding Ancient Mortuary Practices,’ gave an eye opening insight on various current and historical burial practices including mound burial, sky burial and even a cliff burial. These burial methods not only give an insight into Bhutan’s history, but can also hold valuable archeological and historical artifacts. This was followed by a plenary session which looked at the way forward for the ISBS. An important information that came out from the session is that the ISBS has started the process to register as an international civil society organization in the USA given the better tax laws in USA when it comes to such CSOs. ISBS is also expected to keep itself active throughout and also have a conference every three to four years. There were several other sessions and high quality papers, but attendees had to chose which ones to attend given that there were as high as three parallel sessions going on at the same time. While ISBS was formed in 2015, this conference was the first to give it real form and impetus. The current President of ISBS is Sabina Alkire, who is the Director of the Oxford Poverty and Human Development Initiative (OPHI) and one of the main driving forces behind the conference. Sabina was in a Kira on all three days of the conference. The ISBS Conference was made possible due to active participation and inputs by the Center of Bhutan Studies, Samuel Centre for Social Connectedness and University of Oxford. The ISBS seeks to also support Bhutanese scholars, both junior and established, and it also seeks to create intellectual community and academic exchange and provide opportunities for networking, and sharing. The ISBS also seeks to contribute to the happiness of future generations, so the it will engage both the guardians of culture and tradition and those able to use the research to enact positive change on the ground.